There have been important strides made on the part of many Aboriginal communities to improve education around health issues today, but despite these improvements, Indigenous peoples remain at higher risk for illness and earlier death than Non-Native people. Chronic diseases such as diabetes and heart disease are on the increase. There is a definite correlation between income, social factors, diets, nutrition and health. There is a higher rate of respiratory problems and other infectious diseases among First Nation children than among Non-Native children, inadequate housing, and crowded living conditions as well as a lack of daily nutrition are just some of contributing factors. The overall health of Aboriginal people has improved in recent years; however, it continues to lag behind the overall population. In 2009, the life expectancy for Canadian women was 83 years of age compared to 79 years for men. Between 1980 and 2001, life expectancy at birth for registered Indigenous men increased from 60.9 to 70.4 years and for registered First nation women from 68 to 75.5 years. Health Canada reported in 2001–2002 that the leading causes of death among registered Indigenous peoples were external causes (accidental poisoning, vehicle accidents, and intentional self-harm), diseases of the circulatory system (hypertension, cardiovascular disease), and neoplasms (various types of cancer). Suicide rates for Aboriginal peoples in Canada have for some time been much higher than those of the general population. A 2000 study found that suicide and self-inflicted injuries were the leading causes of death for Indigenous people below 45 years of age. Suicide rates among First Nation youth are around five to six times the national average, while Inuit youth rates are approximately ten times the national average. The causes for such high rates of suicide are multiple and may include depression due to social, cultural, or generational dislocation; drug and substance abuse; lack of housing, fresh foods and nutrition, and access to opportunity. Indigenous, Inuit and other remote Canadian and non-native communities are being deprived of year-round, quality, fresh produce that is reasonably priced and their community members are suffering a lack of natural, day-to-day healthy nutrition. Communities consistently receive mediocrely, below average quality produce delivered throughout the year. That is if they can even access fresh, quality produce. Produce is often extremely high priced due to factors like long-distance shipping and remote locations. Many levels of Bureaucracy and the Government in Canada to date have ignored severe and cold climate growers from operating on a commercially viable scale, servicing our most remote First Nation and Inuit communities from within. For whatever reason, it has not been a priority, or in their best economic, or political interest to promote anything but the delivery of overpriced, sub-standard produce and other poor quality fresh vegetables and fruit products to many of our First Nation, Inuit, and other Northern Canadian communities. No other company, which we are aware of has offered these communities an affordable alternative as of yet. FNG is dedicated to taking this problem on, head-on, addressing community needs with an attractive, viable, affordable, environmentally friendly growing solution for every community, especially in our remote Canadian sub-zero locations. FNG will help communities where geographical location is unfriendly, cold climate and seasonal time is restricted. The quality of fresh produce in First Nation and Inuit communities throughout Canada are both almost non-existent. When mediocre produce is available, it is usually overpriced. This is adversely affecting the day-to-day good health and well-being of too many First Nations and Inuit communities. To-date, very few policymakers and companies have seemed interested in seriously addressing these everyday critical nutritional needs on behalf of Indigenous people. First Nation Growers will address these crucial needs for every First Nation and Inuit community, regardless of geographical location. Aboriginal peoples refer to the original inhabitants of Canada and include Inuit, Métis and First Nation living on and off-reserve. National data on Aboriginal peoples and household food insecurity in Canada primarily come from the cycles of the Canadian Community Health Survey (CCHS). However, the CCHS excludes individuals living on-reserve in Canada, and thus data from these surveys do not represent the experience of on-reserve Aboriginal peoples, who constitute just over one-third of the Aboriginal peoples in Canada. Studies of Aboriginal peoples repeatedly demonstrate their extraordinary vulnerability to household food insecurity. Aboriginal households in Canada are more likely than non-Aboriginal families to experience the socio-demographic risk factors associated with household food insecurity (e.g., extreme poverty, single-motherhood, living in rental accommodation, and reliance on social assistance). Even after these factors have been into account, Aboriginal households remain at a much higher risk of household food insecurity and are more likely to be severely food-insecure. Researchers and practitioners in Aboriginal communities have highlighted the distinct food procurement, preparation and distribution practices among Aboriginal groups. The measure of household food insecurity used in the CCHS was developed in non-Aboriginal contexts and does not probe for information that may be important to Aboriginal peoples’ household food insecurity. For example, household food insecurity is related to food procurement from both market, and traditional sources (e.g., fishing, hunting), and broader factors such as climate change and environmental pollution may be salient due to their impact on the availability of edible plants and animals found in nature. Research in the area of household food insecurity among Aboriginal peoples that is grounded in the realities of Aboriginal peoples’ culture, beliefs, and political systems is vital to the development of appropriate interventions to reduce household food insecurity among First Nation and Inuit peoples. Historical inequities have left Indigenous children, youth, and families without much-needed support and services, low incomes and remote locations. Aboriginal people in Canada are our forgotten peoples deprived of their lands, their cultural traditions, and their unique way of life. Children have been removed from their families and sent away to residential schools – where many are in abusive situations – with well-documented, everlasting, inter-generational effects that many are still dealing with to this day. The First Nation Growers Inc. organization is committed to improving the overall social development and well-being of Indigenous and Inuit people. Through strengthening daily, year-round, healthy diets and providing continual access to affordable, fresh foods in every Indigenous community where possible, we will help unlock First Nation and Inuit people’s true potential toward positive social development through better health. Indigenous, Inuit and other more remote Canadian First Nation and non-Native communities are deprived of year-round, fresh produce. In turn, each of their communities is suffering a lack of natural, healthy, and affordable daily nutrition because of consistently poor, below average product delivered to their communities at unfair prices. The results are produce that is too often of the most mediocre quality at an extortionately high price. First Nation, Inuit, and our more remote non-Native Canadian communities are hungry for new and better, year-round, quality, nutritionally rich produce. FNG enables Indigenous Communities to grow produce that enhance the day-to-day health of individual communities and their members and their member’s children. In creating their own, fresh, natural, healthy, and appropriately priced fresh produce, vegetables, fruit and herbs for their community members and their children, enhancing year-round health from and within their Indigenous Communities. No other company that we are aware of to date has offered these communities, our brothers and sisters, an alternative, nutritionally abundant, affordable, year-round community solution. First Nation Growers LP. will take this problem on, head on, addressing community needs with custom, cold climate designed, year-round, indoor community garden farms. FNG provides an attractive, affordable, viable, environmentally friendly, cold climate growing solution for every community, including our most remote sub-zero, geographical unfriendly, growth restricted environments. The consistency of fresh produce in First Nation and Inuit communities throughout Canada is almost non-existent regarding quality, and too often ridiculously high priced, adversely affecting the good day-to-day health and well-being of far too many First Nation and Inuit communities, their members and their member’s children. An underlying issue and concern is the reluctance to change current food-based values of our First Nation and Inuit communities. The current lack of effort to provide communities with nutritional education and year-round, affordable, quality, fresh produce causes a profuse lack of nutrition in Indigenous people’s daily diets. Nutrition and health concerns will be addressed by providing current information, education and easy access to ensure the availability of year-round quality fresh produce. First Nation Growers LP. is addressing essential nutritional day-to-day needs of every First Nation and Inuit community, regardless of geographical, year round, cold climate locations. Through our state of the art growing technologies, and our partnership with Turtle Island Holistic Medicines we hope to one day eradicate the abuse of opiates, methadone, fentanyl and the many other harmful mainstream prescription drugs including toxic household chemicals that have created a health crisis in far too many Canadian communities. First Nation Growers is committed to becoming an Indigenous leader within the industry, remaining at the forefront of our native profession through the latest technology, innovations and the education of both our staff and clientele. Our effort to improve the well-being and general health of oneself within the execution of strictly adhered to company policies, supervised by a dedicated team of professionals, emphasizing quality products, excellent service and client customer education and awareness. We are happy to provide our full support to promote community first new found and or improved Indigenous economic development opportunities in creating newfound Indigenous employment, along with training and education for First Nation members from within their respective home communities. We feel our pursuit to improve the holistic wellbeing of oneself through innovative, and technologically advanced tools will produce enhanced community nutritional streams and sacred medicines. With our advanced agricultural rotary hydroponics, growing year-round fresh produce and other natural foods, we will create economic opportunities and community member jobs through newfound own source revenues. Thus invoking the United Nations reaffirmation of our inherent Indigenous rights to include the personal use of traditional and or sacred medicines which provides for both medical and recreation Indigenous medicines products including derivatives thereof for the improved holistic health and well-being of oneself is long overdue. 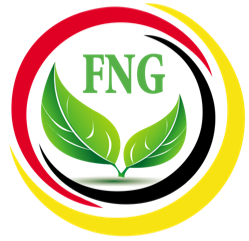 It is our FNG mission to enhance & contribute to the betterment of the Indigenous community through advancing Indigenous holistic health and the well-being of oneself. Our effort to pursue innovative indoor agricultural development of fresh produce, natural foods as well as traditional medicines that include medical and recreational Indigenous Medicines and or the derivatives thereof, using Canada’s ACMPR Rules & Regulations as our guideline as we reach back into our history.